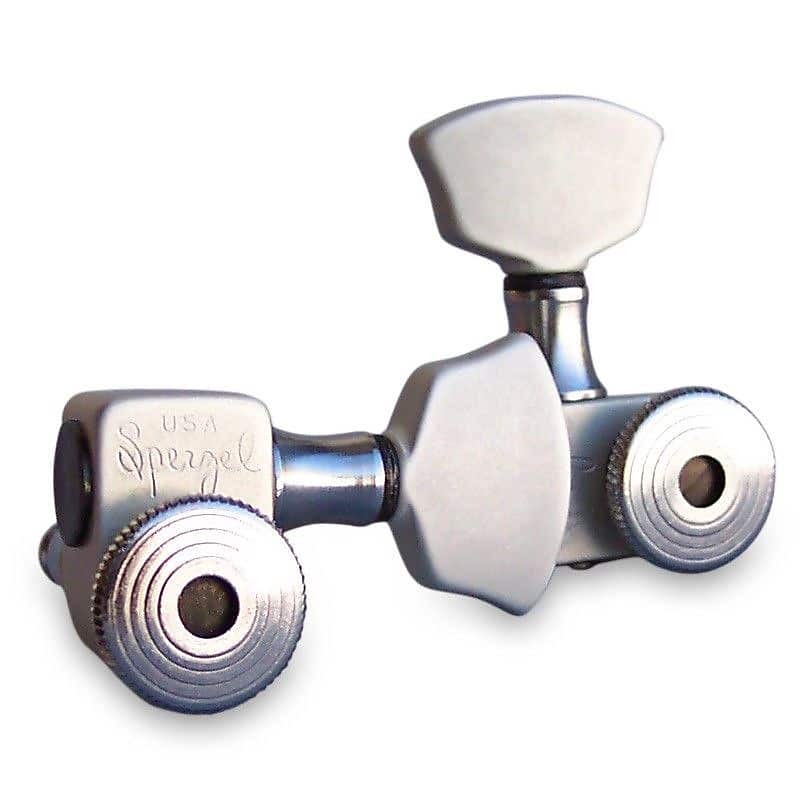 The rear thumb wheel on these 3 per side satin chrome tuners locks the string in place to eliminate problems with staying in tune when bending strings. Made from solid billet aluminum for light weight. For 9/16" - 11/16" thick pegheads. Sperzel Trim Lok tuners require 10mm (13/32") diameter pegholes. 12:1 gear ratio. All Sperzel tuners sold in sets of 6. Specialty Guitars has been an authorized Sperzel dealer since 2004. Free shipping within the US on orders of $75 or more! Free USPS shipping within the US on all orders of $75 or more! 3 Day returns on Used items. 7 Day returns on New items. Condition Must be the same as when purchased. There will be a 10% restocking fee on Returned Items.